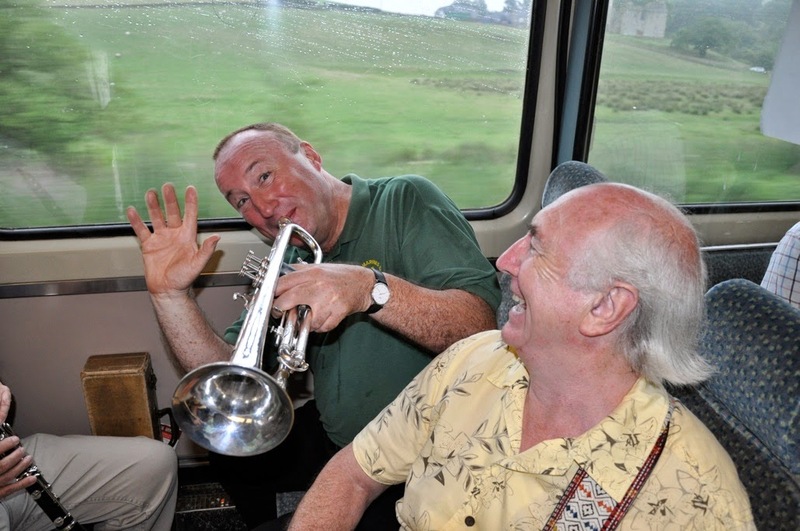 Just to let you know that the 3 remaining Music Trains on Wednesday 25 June; Wednesday 2 July and Wednesday 9 July, the Jazz music and Real Ale Bar, courtesy of High House Farm Brewery, will commence immediately on departure from NEWCASTLE CENTRAL STATION. The jazz trains are the 7.25pm NEWCASTLE to CARLISLE service calling at Metro Centre; Blaydon; Wylam; Prudhoe; Stocksfield; Riding Mill; Corbridge; Hexham; Haydon Bridge; Bardon Mill; Haltwhisle; Brampton; Wetheral; CARLISLE (departs 9.28pm). Rendezvous with the band at Central Station ticket barriers at 7.00pm - and don't forget to bring a small snack for the journey! PS. On Wednesday 9 July, Hong Kong based musicians, Colin Aitchison (trumpet) and Franco Valussi (clarinet) will be on board - don't miss them!